85 days. Solanum lycopersicum. Open Pollinated. 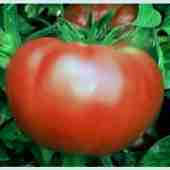 Plant produces good yields of 1 to 2 lb pink beefsteak tomatoes. It has the rich old-fashioned tomato flavor. 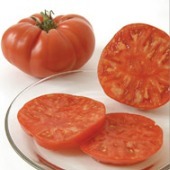 One of the best tasting tomatoes on the market. 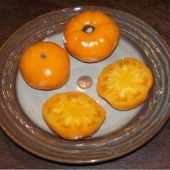 The Quisenberry strain is considered the best of the Brandywine Tomatoes. Perfect for sandwiches, salads, and slicing. A potato leaf variety. Excellent choice for home gardens. 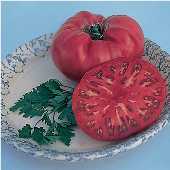 A heirloom variety from the USA. Indeterminate.